Infrasound from Wind Turbines, Much Worse than Thought…. The wind industry has know about, attempted to cover up and lied about the adverse health effects caused by incessant turbine generated low-frequency noise and infrasound for over 30 years; and knowing full-well that the dB(A) weighting is irrelevant to measuring the low-frequency noise spectrum, wrote their own ‘rules’ that even make the risible claim wind turbines don’t generate infrasound at all. The noise emissions from these things are, for thousands of unfortunate neighbours, a constant form of sonic torture that, ofcourse , can’t be hidden. Slowly, but surely, methodical Medicos are gathering the evidence that proves what victims have known all along: constant exposure to low-frequency noise infrasound is human health hazard. And the efforts to protect people from further, and utterly unnecessary harm, include those from German Doctors, like Johannes Mayer. Dr Mayer appears in the video below (which unfortunately hasn’t been subtitled in English); however, the thrust of his findings are laid out by NoTricksZone. At the 21-minute mark Mayer presents major publications on infrasound. 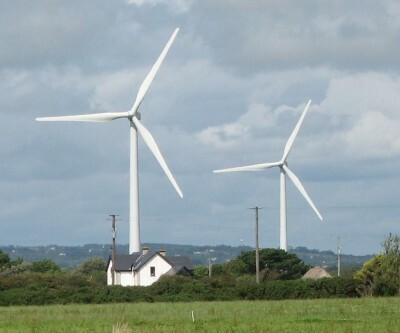 Studies by Thorne and Salt show that up to 40% of people are sensitive to infrasound and that the health of these people who live near wind parks is “considerably and seriously affected (injured) by this noise”. Faux-green, fighting wind turbines, harm to wildlife, Health, Noise & Infrasound, Return to sanity! ← Wind Turbine Infrasound… The Silent Offender!